Business services to help your business run more efficiently. The Bank offers several services to help keep your business running smoothly each day. Make bank deposits from the convenience of your office. It is like we put a branch bank there. Remote Deposit Capture gives businesses the convenience of making deposits to their accounts without ever leaving the office. The customer scans in checks and then securely emails the files to the bank to be submitted for processing. The quicker the funds are sent to the Bank, the faster they are available to you. With a merchant credit card account, you can accept major credit payments from your customers. Credit and debit cards are more widely used today to purchase goods and services than ever before and trending upward. We can visit your place of business to set up the account and equipment and train you in the process. This is a FREE service for business checking customer to aid in recovering dishonored checks and ACH payments. 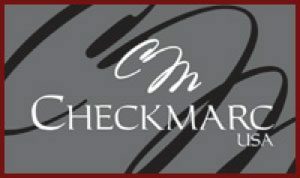 The Bank of Beaver City recently partnered with CheckmarcUSA to offer dishonored check and ACH recovery services FREE to our business checking customers. There are no contracts or agreements to sign. Please find the program features and benefits listed below. Businesses can save time and paperwork by using this convenient service to pay employees by setting up payroll direct deposit. Employees like it as well to have their monies deposited directly into their accounts.